We’re just hearing about a May 7, 2010 FDA warning letter to Medtronic over Medtronic’s failure to establish protocols to review customer complaints and to validate device designs. The letter relates to image-guided surgical systems for spinal, cranial, and ENT applications. 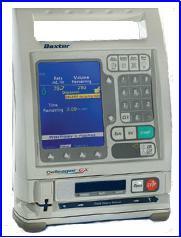 The FDA Law Blog has a great post on the recent Baxter Colleague Infusion Pump Recall. They outline the authority the FDA is using to demand the recall (it is based on a consent agreement entered some years back between Baxter and the FDA after continued pump problems). The FDA Law Blog questions whether Baxter is required to refund purchase prices or reimburse for current pump values. There’s an interesting calculation of Baxter’s expected loss (though, Baxter is hoping to be able to replace the Colleague pumps with other Baxter pumps). See our prior post on the Baxter pump recall here. $296 Million Plea Guidant Plea Agreement—Rejected! In a bold move, Judge Donovan Frank rejected a $296 million plea deal, offered by Boston Scientific and prosecutors. The proposed agreement was offered for Guidant’s failure to timely report problems with some of its defibrillators, which have caused at least seven deaths and numerous injuries. Boston Scientific purchased Guidant back in 2006. The federal Minnesota judge considered the arrangement, but ultimately rejected deal (which included a guilty plea by Guidant for two misdemeanors: submitting a false and misleading report to the FDA, and failing to notify the FDA about a device safety correction). Judge Frank stated that “[a]t a minimum, the public’s interest in accountability would be served by Guidant and Boston Scientific being placed on probation, regardless of the fact that Boston Scientific acquired Guidant after the events in question. And, the court believes that a period of probation would likely benefit, rather than harm, Guidant’s and Boston Scientific’s public image.” The judge indicated that some measure of community service would be appropriate.